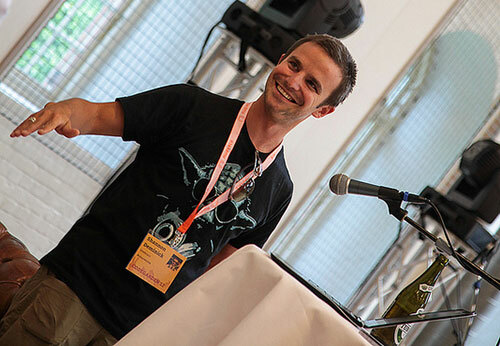 CodeGarden 12 - Wrap up. Now that the dust has settled and people are getting back into the swing of things after a fabulous but exhausting CodeGarden, it's time to wrap up and summarise CodeGarden12, in a mega bumper edition blog post. 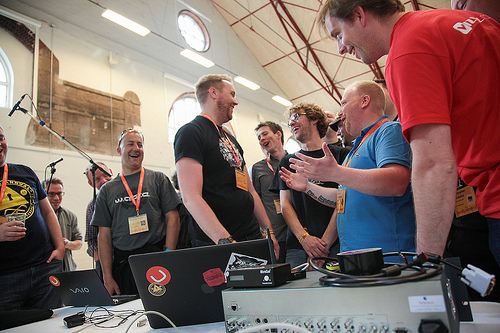 First up I would like to thank everyone involved for making it a great CodeGarden this year, be it if you talked at a session, got involved with the discussions to push the project forward, hacked away in the hack room, or just simply attended. 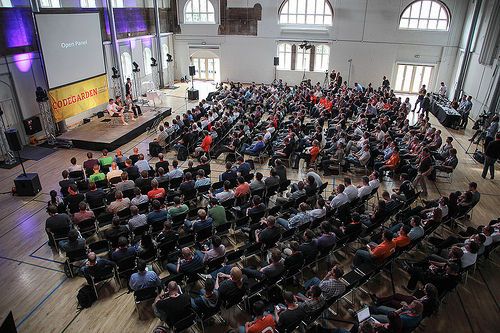 Without you, the Umbraco community, we wouldn't have a great conference, so a BIG 'Thank You'! After a couple of year's absence, we decided to bring back Open Space to day three of CodeGarden and we are glad we did, as it was a great success. After the news on day one about admitting failure and deprecating support and development for V5 it was a great way for people to voice their feelings and suggestions on the way forward. It ended up being a great opportunity to reintroduce Open Space as we had very passionate, motivated and highly opinionated attendees at the conference to help discuss and push the project forward, to go onto bigger and better things. Open Space is a format that allows conference attendees to formulate the agenda of topics that they wish to discuss. They then attend the sessions or Open Space meetings they wish to participate in and contribute to. On the conclusion of the sessions all those that ran a session then report back on what was achieved during their meetings and upload the notes for everyone to see. 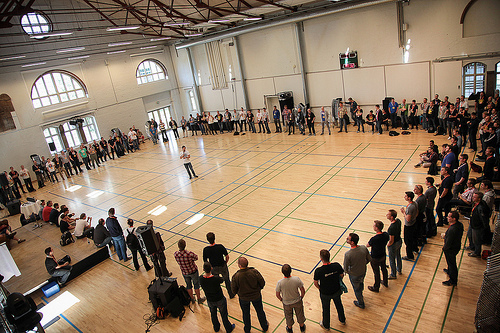 Notes from the CodeGarden 12 Open Space sessions can be viewed here. The Umbraco Awards are an opportunity to celebrate all the awesome and high quality work that the community produces when building great Umbraco websites. We short listed three finalists for each category. 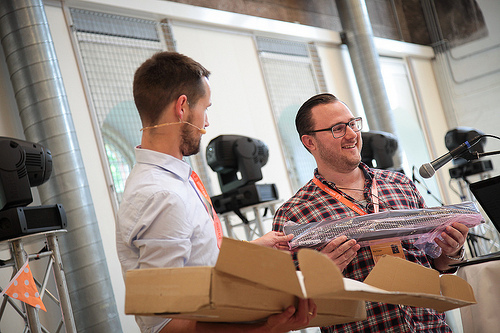 The winners were announced at the end of CodeGarden when each winner was presented with a very unique award: a custom Umbraco skateboard. Below, Peter Gregory from HQ talks us through the category winners. 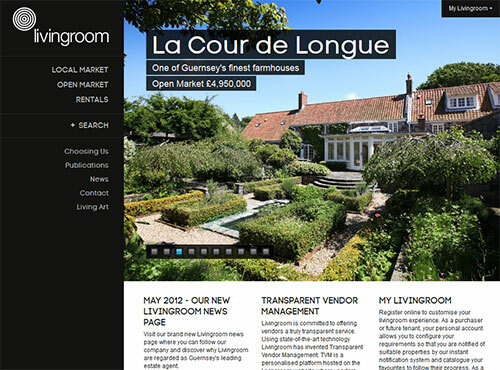 "livingroom.gg was selected because it is beautifully crafted, easy to use & mobile friendly. 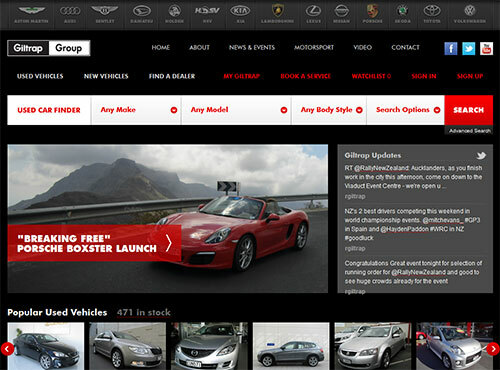 We were impressed with the thought put into the responsive layout and we found it extremely intuitive to use. It demonstrates current web trends in an appropriate way." "We were impressed with their integration of a full email marketing suite into the back office of Umbraco. Editors were able to create send and manage their campaigns directly from the back office without the need to interact with the third party tool directly." 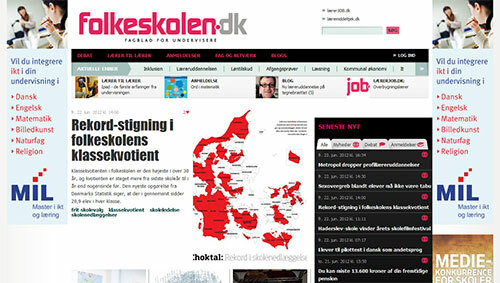 "Folkeskolen has massive amounts of content. Content items are stored in a custom DB which is loaded into a custom Lucene engine for indexing and faceting. Custom content is edited via a custom version of DEWD. The Lucene implementation allows for incredibly quick searching. This solution is packed with stuff that makes your average developers head go BOOM!" Our panel of judges loved taking the time to look at all the submissions and it was really hard to choose the nominees & winners from all the great entries we received. What was also amazing was that we received entries from all corners of the globe meaning our shipping bill will be much higher than usual :P So if you entered into the Umbraco Awards, we would like to say a BIG thank you. 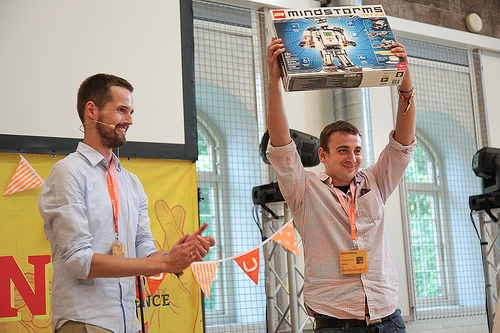 Every year at CodeGarden we run a package competition, where attendees have the opportunity to submit an Umbraco package that extends the out of the box functionality of Umbraco. This year we introduced a theme for our package competition prizes, deciding on gadgets that have a .NET SDK to extend and hack around with. By itself it may not be the most sexiest prize ever, but when you know you can extend it with a .NET SDK, just imagine the possibilities! This is not just any old Lego, but Lego that can be used to make robots. With the sensors that come with it you could start programming something beautiful! This was a great first prize and looked a lot of fun to use. It's a quadcopter that can be flown using an iOS or Android device. Stephan Kvart demo'd a package that allows you to define your templates, document types, tabs and properties all from code, which you can then version control. Other features include an a live page preview feature that allows content editors to see a page preview in the back office UI before they publish. Tom Fulton demo'd a package that adds another level of grouping in addition to tabs on a document type - called "fieldsets". This makes it easier for content editors to edit relevant data in a group on the same tab. Shannon Deminick demo'd a package that takes the first steps to introducing the MVC concepts from v5 back into v4. This package provides the developer the ability to use MVC for their front end website instead of webforms. Matt Brailsford built a package for Umbraco that allowed Umbraco back office users to login to Umbraco using facial recognition. Unfortunately Matt couldn't get his laptop to play nicely with the projector and demo it to the crowd at CG12, but was able to demo his package from his laptop to a group of people and they were impressed.... so much so Shannon kindly donated his 1st place prize to Matt. Congratulations to all our winners and thanks again to everyone who entered the package competition. High Five You Rock! I want the world to know that you´re my No1. when I met you that is exactly what I found. 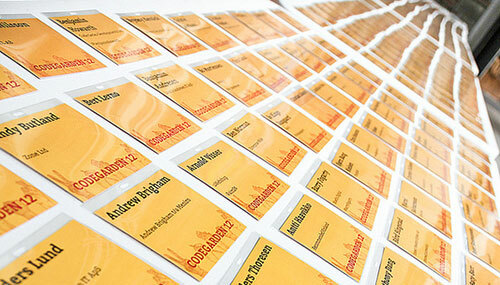 Has all this talk of CodeGarden got you excited about what next year's CodeGarden will bring? Wondering how can it get any better? Trust us, it can! So make sure to get in early with our super early discount for CodeGarden13 tickets at a low price for a limited time (first 100 tickets or when we remember to turn the discount off). Make sure you keep your eyes peeled on the Umbraco twitter stream and the CodeGarden12 site as we continue to release a new video every other workday.